Last week during a quick trip to New York City, SEC Chair Mary Jo White addressed the Sandler O’Neill & Partners, L.P. Global Exchange and Brokerage Conference. The title of her speech was “Enhancing Our Equity Market Structure” – a noble subject to be certain. The SEC has an overflowing plate of regulations to address right now. With Dodd-Frank stumbling along, the JOBS Act slowly pushing forward, and critical issues such as high frequency trading being addressed, our securities regulators have much to do. The efficacy and transparency of our securities markets is vital to our economic well being. Market operations have changed dramatically over the past several decades. An effective transactional exchange is frankly something many of us simply take for granted. But what of crowdfunding? 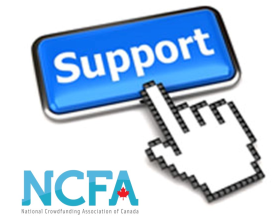 For crowdfunding to truly work there must be a mechanism in place for these new types of securities to be transacted after the initial purchase. While many dream of a “good exit” where a large company purchases the small company for a huge premium- for the most part companies that are successful will continue to grow while many will stumble and perhaps fail. Failure is a much needed part of our capitalist system that pushes non viable companies out allowing resources to align with the more compelling models (at least in theory). For those of us who invest in early stage companies there will be a time when one wants to get out. Some things are not forever and owning shares falls under this category. 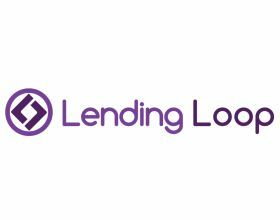 Not having a viable secondary market for this new asset class will dull the potential of crowdfunded offerings and hobble the economic impact. While many industry participants have focused on enacting legislation to facilitate capital formation for startups, there remains the question of where to go to dispose of these shares? Illiquidity creates inefficiency. A robust secondary market can address this challenge. 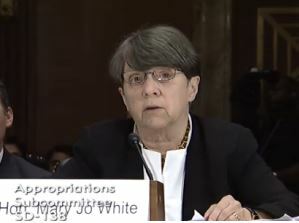 While Chair White’s speech does not directly address the various aspects of the JOBS Act including Title II, Title III and Title IV – it does not take much to extrapolate the compelling need for a new approach for our securities markets. Some crowdfunding platforms in Europe are creating their very own secondary markets. Several US based exchanges are sizing up the opportunity with the caveat there still remains many unknowns. What is certain is that these new securities demand a mechanism to allow both the purchase and sale in shares of these early stage companies for the system to evolve, grow and benefit all. The speech in its entirety is reproduced below.